I will be part of the show "What Goes Around" at Nahcotta Gallery, Portsmouth NH. 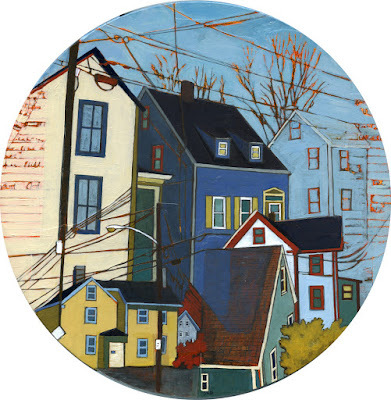 For this show, the gallery selected over 30 artists, gave us a 12" circular wooden panel, and challenged us to create a new piece of work on this surface. This show "promises an incredible range of work launching from the same dimensional foundation."